READY NOW!!! BRAND NEW CONSTRUCTION - Large, flowing floor plan with loft. Open kitchen, dining and great room is perfect for entertaining guest. Downing Duraform cabinets in Linen with Crema Pearl granite counter tops with stainless steel appliances really make this kitchen a center piece. Serenity 17.5 x 17.5 tile cover all your main living areas except bedroom and bath. The bedrooms are located upstairs for privacy. Huge loft separate the owner's suite from the two secondary bedrooms. There is a full bath in the hall way that they share, featuring dual sink vanity with Corian counter tops. Each bedroom has a walk in closet. Owner's suite takes us the entire side, with two walk in closets, dual sink vanity, large shower and private water closet. Laundry room is located upstairs as well. There is room for desk, tv/gaming area, in the loft! Close to schools and shopping. 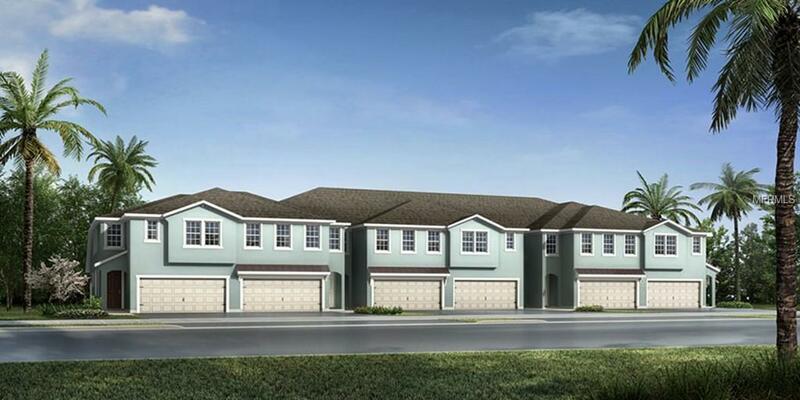 Community offers pool with cabana, walking trails, tot lot, dog park and more.